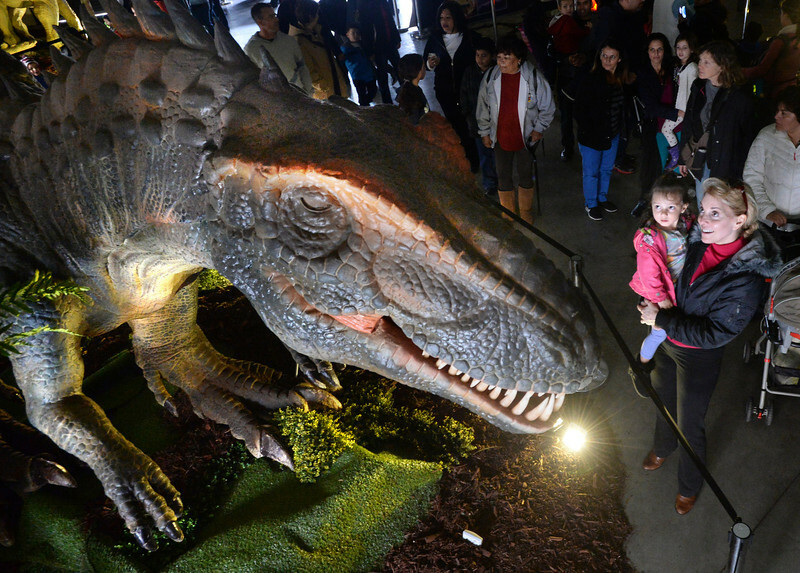 The Largest Exhibition of Lifesize, Moving, Museum-Quality Dinosaurs in North America! Jurassic Quest is America’s largest and most realistic Dinosaur event. Our guests will walk through the Cretaceous period, the Jurassic Period and The Triassic period and experience for themselves what it was like to be among living, breathing dinosaurs. Jurassic Quest is the only dinosaur event that has true to life size dinosaurs. From the very small, to the gigantic, sky-scraping dinosaurs that can only be seen at our events, Jurassic Quest has over 80 true-to-life size dinosaurs in each of its two touring shows. In collaboration with leading paleontologists, each dinosaur was painstakingly replicated in every detail. Whether their prehistoric counterpart had skin that was scaly, had feathers or fur, Jurassic Quest has spared no expense in bringing this realism to life. In Jurassic Quest’s Dinosaur World, the dinosaurs roar and move, some even walk around. At a Jurassic Quest event, there’s a sometimes-blurry line between our visitors watching the dinosaurs … and the dinosaurs watching them! At Jurassic Quest, you’ll meet and interact with Baby Dinosaurs and adolescent Walking Dinosaurs. The Baby Dinosaurs love to see and play with our guests. They’ve been known to grab baseball caps right off unsuspecting children’s heads, nibble at their shirts and even pose for pictures. Turns out, even when they grow up a little, they still love the attention. Like our dino babies, our teen and pre-teen walking dinos love to play and maybe prank guests as well! In addition to the life-like Dinosaur Exhibits, there are many attractions and activities for all kinds of dinosaur fans. Our guests can dig up fossils like a real paleontologist, they can ride on the back of a huge 24ft T. Rex, or the spiky, overgrown, Carnotaurus among others. There are countless dinosaur themed rides throughout the event including inflatable mazes, huge slides, and the multitrack Dino Bungee Pull. Jurassic Quest has a Dinosaur Petting Zoo where little ones can pet dinosaurs that are more their size. Our little Questers can even do crafts and explore Dino Science stations, Visit the fossil area in our Dinosaur Museum and see real dinosaur fossils dating back over 60 million years. Whether they are big or small, young or old, our guests have a dino-mite time!